Seventy years ago, friends of The Salvation Army came together to celebrate the holidays and acknowledge the efforts of good people in an event that would become an authentic New York City holiday tradition — The Salvation Army Greater New York Division’s Annual Gala. 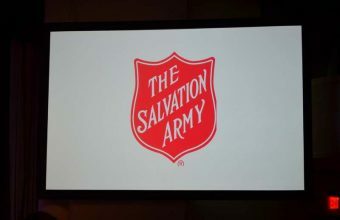 This year’s 70th Annual Gala continues this tradition, while also serving as the kickoff of The Salvation Army 2017 Red Box Campaign, which raises funds in support of the vast network of human services The Salvation Army provides during the holidays and all year long. Services like soup kitchens, food pantries, homeless shelters, day care, emergency-disaster services, HIV health services, seniors programs, street outreach, and much more. 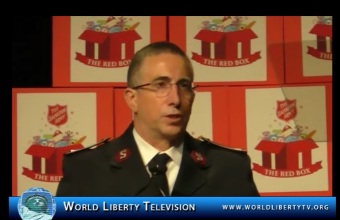 See more about Salvation Army in our World Liberty TV , Humanitarian Channel by Clicking here. 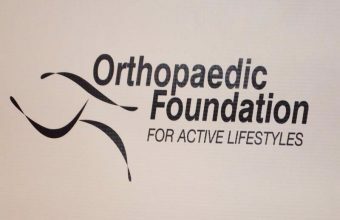 See Orthopaedic Foundation’s 13th Anniversary Gala 2017- NY The following were honored: Chef Michel Nischan, founder of Wholesome Wave and Chef Action Network,he was honored with the Health ,Wellness and Nutrition Award. Greg Boester Managing Director of Mortgage for J.P.Morgan, Former Olympic Ski Jumper, President of the US Ski and Snowboard Foundation, Mr Boester was honored with the Leadership,Vision and Inspiration Award. Ken Wisdom ,Philanthropist, Athlete an Director of Portfolio Advisors, Orthopaedic Foundation Board Member ,Mr Wisdom was honored with the Philanthropic and Professional Excellence Award and Camille Duvall ,US Elite Water Ski Team, Water Ski Hall of Famer, Sports Illustrated ‘s “Top 100 Greatest Female Athletes of the 20th Century”, Ms Duvall won the Spirit of an Active Lifestyle Award. Olga Litvinenko, Miss Connecticut USA 2017 , was the Emcee, Howard Schwartz,Founder and President of Grandstand Sports Memorabilia was the Auctioneer, Oz Pearman, Mentalist did a live performance. Close to 300 people were in attendance. 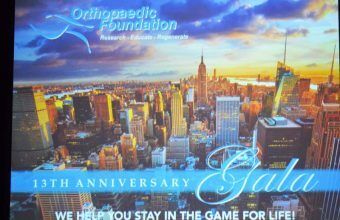 See more about Orthopaedic Foundation’s 13th Anniversary Gala 2017- NY in our World Liberty TV Sports Channels by Clicking here. Marine Money hosts the industry’s most important ship finance forums each year, from cities including New York, London, Athens, Singapore, Oslo – anywhere the formation of capital for shipping is taking place. 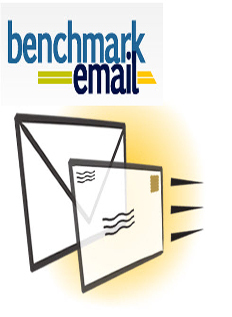 Our conferences offer the best educational and networking opportunities in the industry. Marine Money Subscribers receive a discounted delegate fee for each of our eighteen annual events as well as access to event presentation materials. 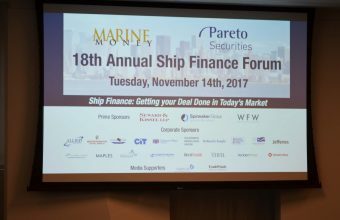 Sponsorships are available for all Marine Money forums, providing unique opportunities for high profile exposure to the global ship finance community as well as to attendees of the sponsored events. Guest speakers at our events enjoy similar benefits, and we welcome inquiries about speaking opportunities from experts in maritime finance, investment, and capital formation. 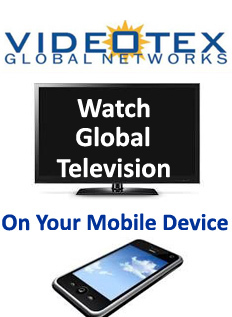 See Exclusive interview with Jim Lawrence, The Chairman of Marine Money International,which took place at there Marine Money’s 18th Annual Ship Finance Forum 2017-NYC, see more about Marine Money in our World Liberty TV Business Channel by clicking here. Michael Phelps, American swimmer, who was the most-decorated athlete in Olympic history with 28 medals, which included a record 23 gold. At the 2008 Games in Beijing, he became the first athlete to win eight gold medals at a single Olympics. Phelps was raised in a family of swimmers and joined the prestigious North Baltimore Aquatic Club at age seven. 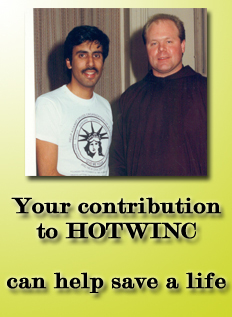 He finished fifth in the 200-metre butterfly at the 2000 Olympic Games in Sydney. At the 2001 U.S. spring nationals, he became at age 15 the youngest world-record holder in men’s swimming when he posted 1 min 54.92 sec in the 200-metre butterfly. He went on that year to win his first international title at the world championships in Fukuoka, Japan. He claimed five medals at the 2002 Pan Pacific championships, including three gold (200-metre and 400-metre individual medley [IM] and 4 × 100-metre medley relay). At the U.S. spring nationals in 2003, he became the first male swimmer to claim titles in three different strokes at a single national championship, and he later broke an unprecedented five individual world records at the world championships in Barcelona, Spain. Phelps also captured five titles at the U.S. summer nationals—the most won by a male swimmer at a single championship. Phelps’s retirement was short-lived, as he announced his return to competitive swimming in April 2014. 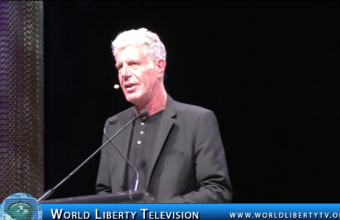 In October of that year, he was suspended by USA Swimming for six months after he was charged with driving under the influence, his second such arrest; the first had occurred in 2004. Phelps was the American flag-bearer at the opening ceremonies of the Rio de Janeiro 2016 Olympic Games, which were his fifth Games, a record for an American male swimmer. There he added to his unparalleled medal count by winning golds in the 200-metre IM, 4 × 100-metre medley relay, 4 × 100-metre freestyle relay, and 4 × 200-metre freestyle relay as well as a silver in the 100-metre butterfly. It was his gold in his signature event, the 200-metre butterfly, that captured the most international attention. The finals of that race featured South Africa’s Chad le Clos, who had beaten Phelps by five-hundredths of a second in the race at the 2012 Games and who had exchanged verbal barbs with the American over the following four years. Before the race, cameras caught le Clos warming up in front of Phelps, who fixed an icy stare upon his rival that instantly became a meme on social media platforms. In the following race, Phelps eked out a victory by four-hundredths of a second and had an uncharacteristically exuberant celebration in the pool. Having completed his improbably dominant comeback at the 2016 Games, he again retired from competitive swimming. 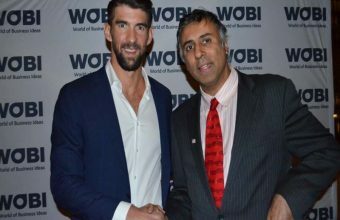 Michael Phelps Greatest Olympian of all time, spoke at World of Business Ideas (WOBI) World Business forum NYC-2017,see more about great Sports stars in our World Liberty TV Sports Channel by clicking here. The World Business Forum, which is organized and curated by the World of Business Ideas (WOBI), is a two-day transformative learning experience that brings togetherleaders, savants and curators who want to hear from experts on how to modernize business practices.The 2017 World Business Forum will be in New York City at Lincoln Center’s David H. Koch Theater from November 16-17. 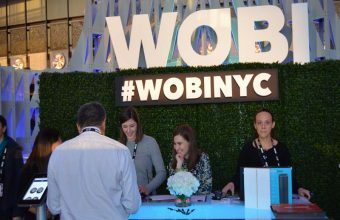 For more than two decades, WOBI has been leading a multi-platform content creation and experiential brand portfolio. WOBI produces the World Business Forum on four (4) continents, providing a caliber of talent at the highest level. Attendees come to be inspired by some of the world’s most renowned figures: a blend of content comprised of CEOs, entrepreneurs, innovators, thinkers, artists and sportspeople. 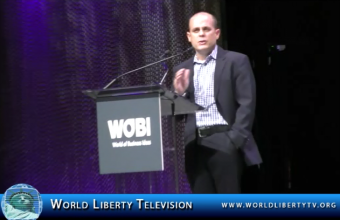 See more of World of Business Ideas (WOBI) World Business forum NYC-2017 ,in our World Liberty TV Business Channel by Clicking here. Claressa Shields (born March 17, 1995) is an American professional boxer who has held the unified WBC and IBF female super middleweight titles since August 2017. As an amateur she won a gold medal in the women’s middleweight division at the 2012 and 2016 Olympics, making her the first American boxer—female or male—to win consecutive Olympic medals. Shields was the youngest boxer at the February 2012 U.S. Olympic trials, winning the event in the 165 lb (75 kg) middleweight division. In May, she qualified for the 2012 Olympics, the first year in which women’s boxing was an Olympic event, and went to become the first American woman to win an Olympic gold medal in boxing. On August 4, 2017, Shields defeated defending champ Nikki Adler in Detroit for the WBC super-middleweight belt and the vacant IBF super-middleweight belt. The fight was on Showtime. 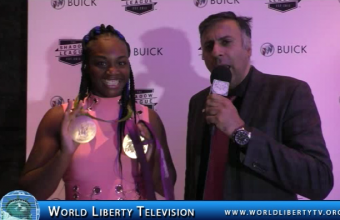 We had the pleasure of interviewing Claressa Shields at the Shadow League Sports Trailblazers 4th Annual Shadow League Awards 2017- NYC ,where she was an honoree, see more about Claressa in our World Liberty TV.African-American Channel by Clicking here. New York, NY–November 6, 2017) The Shadow League (TSL), the premier online destination for journalistically sound sports coverage with a cultural perspective, hosted its 4th Annual Shadow League Awards on Wednesday, November 8th at ESPACE, in New York city. The Shadow League honored three extraordinary men and women who are blazing trails for others and creating a significant impact in the sports arena. Richard Cho, General Manager of the Charlotte Hornets, Claressa Shields, Women’s WBC and IBF Super Middleweight Champion and Andrea Williams, Commissioner of the Big Sky Conference. 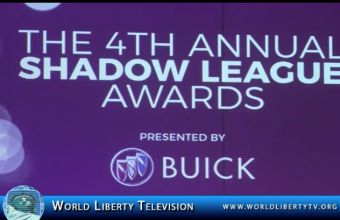 The Shadow League Awards is presented by Buick. 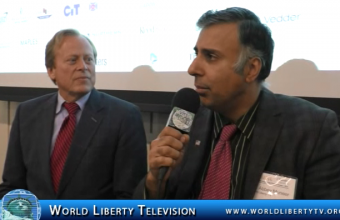 See more of The Shadow League in our World Liberty TV Sports Channel by clicking here.